If you’ve never heard of Rob Machado here’s a rundown, he’s a professional surfer and is a part of the Reef Redemption program and Hurley’s H20 Water education initiative. The foundation is a California based 501c(3) non-profit private foundation. Founded in 2004, RMF’s primary mission is to provide funding and initiate educational programs focused on helping children understand their contribution towards a healthy earth. Monday was the first show with All American Rejects, P.O.D., Austin Burns, and The Workday Release. A show that couldn’t easily be topped. But Belly Up in Solana Beach was packed for Tuesday night’s show. The lineup was The Goo Goo Dolls, Run River North, and Timmy Curran. I usually don’t feel so relaxed and at peace at a concert, but the vibe was joyful and fun. Professional surfer turned musician Timmy Curran also gave a stellar performance at the event. From pioneering the “Aerial Revolution” of the late 1990s to releasing 4 records since 2004, Curran has quite the resume. It’s mesmerizing to both hear his music and witness his performance and it appeared the audience equally as impressed. Run River North is a band out of San Fernando Valley who performed their latest self-titled EP. This is a band you don’t want to miss out on, if you haven’t heard of them take a listen now! You should also add them on Snapchat, their selfie game is strong! 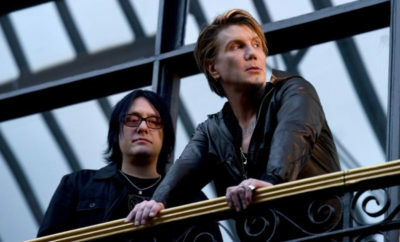 This was only my second time seeing The Goo Goo Dolls live. It was great to see them in a more intimate setting rather than giant arena or stadium. They did a stupendous job of mixing the classics with their new music. Any up and coming band, take notes from their stage presence, banter, and technique. Definitely in my top ten favorite bands to see live. If you haven’t bought their latest album Magnetic, I question your taste in music. What a great night of good people and good music. 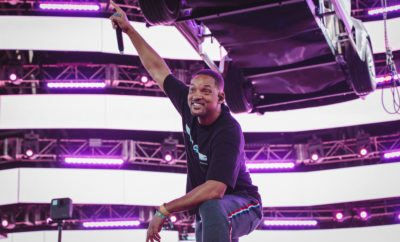 What is better than giving back and great live music? Nothing! ← Previous Story Macy’s Thanksgiving Day Parade Announces Performers! Next Story → Little Big Town at CMA Country Christmas! 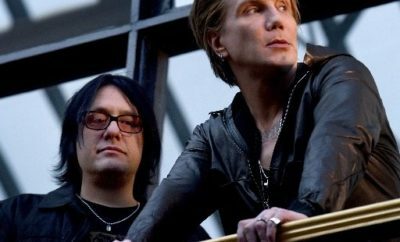 Goo Goo Dolls Are Hitting the Road Again! The Budos Band at Gasparilla! Dallas Smith Releases “Kids In Cars” Ep! SRS Exclusive Premiere: 3PM Release “Slow Me Down” Lyric Video!